The 10 Best RV Trips To Take In Kentucky - Must See! There’s much to explore in the Bluegrass State. Kentucky has everything from museums to racetracks to sports memorabilia. 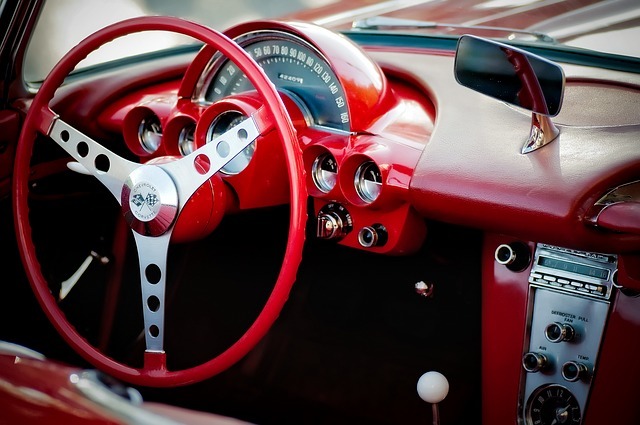 You can ride a historic train…or ride in a state-of-the-art Corvette. 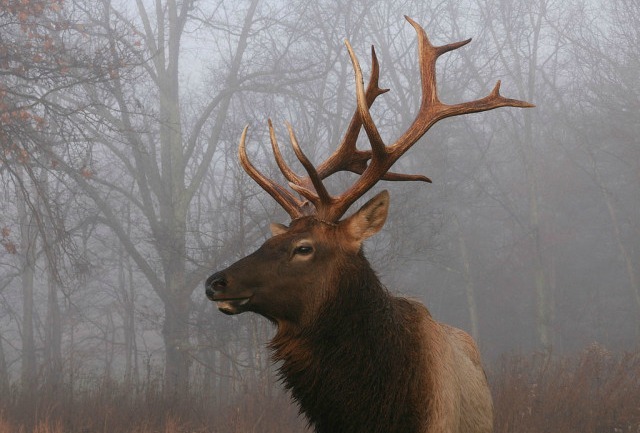 Adults can indulge in a Kentucky bourbon tour and sample some of the state’s most delicious export, and people of all ages can enjoy the nature and wildlife that call this verdant state home. RVshare can help you find an RV rental in Kentucky — or wherever you’re traveling — so you can have the best RV trip Kentucky has to offer. A Kentucky RV trip itinerary ought to include a stop at Cumberland Gap National Historical Park, the gateway to the western frontier. You can follow the route the Native Americans, pioneers, and buffalo all traveled through the mountains into the wilderness of untamed Kentucky. Visitors can hike, backpack, watch for local wildlife, and indulge their inner shutterbug with spectacular photos of wildflowers and mountain vistas. Park films at the visitor center and ranger-led talks allow you to delve even more deeply into the park’s history and into learning about the native flora and fauna. If you’re on a Kentucky RV trip with kids, be sure to visit the pioneer playhouse to dress up and learn about life on the frontier, look through the visitor center museum and touch animal skins while you learn more about them, and participate in the Junior Ranger program to learn even more about the park. You can also see Civil War fortifications, the ruins of an iron furnace, and hand-hewn cabins and fences at the Hensley Settlement. The park even has its own cave and you can take a two-hour cave tour to explore the underground cathedral. 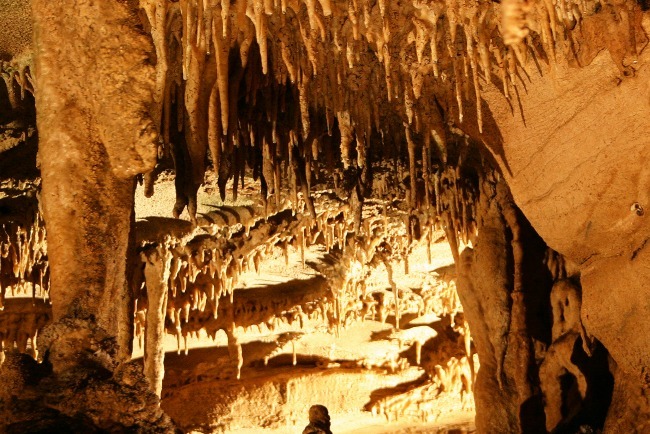 See stalagmites and flowstone cascades, and even, possibly, a bat or two. Camping is available 3 miles from the park visitor center at the Wilderness Road Campground. 20, 30, and 50 amp elecrtical hookups are available, as are hot showers and potable water. There is one pull-thru site and the rest are back-ins. Campsites are first-come, first-served. The National Corvette Museum is a unique Kentucky RV road trip stop. In Bowling Green, Kentucky, you can tour the assembly plant where every Corvette ever made was crafted. You can even indulge your need for speed and book some time doing a little high-performance driving at the NCM Motorsports Park on-site. And your heart may break a little when you see the exhibit commemorating the Corvette Cave-In of 2014, where eight Corvettes were swallowed up in a massive sinkhole at the museum. Camp at the Bowling Green KOA nearby. The campground has horseshoes, a playground, and a nature trail, along with fishing and swimming. There is also a dog park for your furry fellow travelers, and mini golf for the kids. Free wifi is available at most sites. Beech Bend Campground in Bowling Green has 250 campsites with full hookups, and wifi is available for a fee. Pets are welcome. Perhaps when you think Kentucky RV vacations, you think of one of the state’s most famous exports — bourbon. You can tour Bourbon Country, and even take the Kentucky Bourbon Trail to visit several distilleries in the region. You can even request a Bourbon Trail passport at your first stop, have it marked at each place you visit, and have a keepsake at the end of your tour. Stops along the route include Angels Envy, Bulleit Frontier Whiskey, Evan Williams, Jim Beam, Maker’s Mark, and the Bourbon Heritage Center. Most tours cost between $5-15 and include tastings, with several offering free entrance to people under 21. 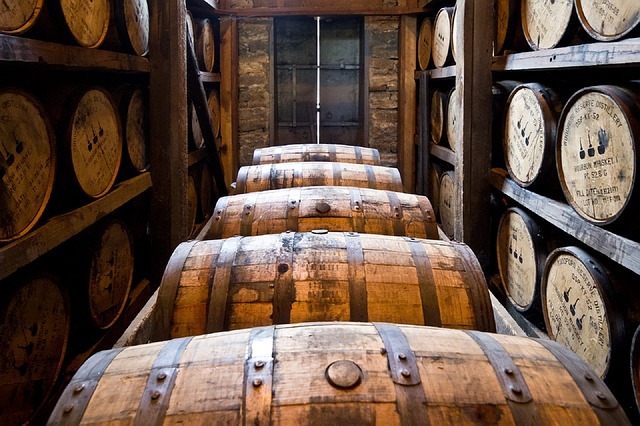 If you’re interested in smaller distilleries, try the Kentucky Bourbon Trail Craft Tour. The Louisville South KOA is near several distilleries including Bulleit and Evan Williams. The park has 90-ft pull-through and 50-amp sites available, and there is a pool, mini golf, a dog park, and wifi available for guests. Lake Shelby near Louisville also has camping and is a lovely spot outside town for canoeing, kayaking, fishing, and bird watching. Along with the Bourbon Trail, Louisville has lots of other great attractions. 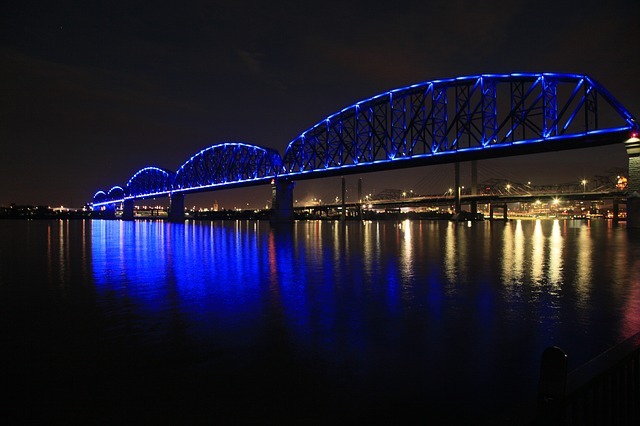 If you’re looking for Kentucky RV trip ideas, try one of these stops in Louisville! The Muhammad Ali Center has three levels of exhibits and galleries where visitors can learn about Muhammad Ali’s life and be inspired in their own journeys. Learn about the six principles Muhammad Ali embraced and how they helped him be the best athlete he could be and to dedicate himself to helping others. Exhibitions also feature iconic photos and memorabilia of the boxer and gold medal Olympian. Take a factory tour of the Louisville Slugger Museum & Factory and see where the popular bats are made. Every visitor receives a miniature souvenir bat at the end of the tour, and you can order personalized bats to take home (or have shipped!) with you as well. Stop in at the museum to see galleries of memorabilia and interactive exhibits. If you’re looking for a truly remarkable experience, sign up for the “All-Star Experience” and get a private, behind-the-scenes tour that focuses on your personal favorite teams and players. If you’re traveling with kids, also make time for the Louisville Mega Cavern. Travel by tram through the caverns with an expert guide to show you the way. You’ll get a 60-70 minute tour and learn about early cavern formations, early mining operations, and more. The caverns also have an underground zipline and an underground holiday light show in the winter. Finally, stop by Churchill Downs to see where “the most exciting two minutes in sports” occurs every May. Visit the Kentucky Derby Museum to learn more about race history, to see the gravesites of five famous Kentucky Derby winners, and to see the resident thoroughbred and miniature horse Winston. Camping is available at the Louisville South KOA, which has 90-ft pull-through and 50-amp sites available. There is a pool, mini golf, a dog park, and wifi available for guests. Lake Shelby near Louisville also has camping along with canoeing, kayaking, fishing, and bird watching. If you’re looking for Kentucky RV trip ideas, Mammoth Cave National Park is an excellent choice. The park has more than 400 miles of explored caves so far, making it the world’s longest known cave system. Stop in at the visitor center to learn about the bats that live in the caves, and more about the caves themselves. Ranger-led activities offered at the park vary by season, and you can find out their latest offerings at the visitor center as well. Be sure to take a cave tour to get up close and learn more about those geologic wonders. The Green River and the Nolan River run through Mammoth Cave National Park, and after touring the caves, you can boat and fish on the rivers nearby. Camp in the park at Mammoth Cave Campground. The campground is 1/4 mile from the visitor center, has 105 sites, and has a reservation system for booking campsites. Rock Cabin Camping is close by as well and has six full hookup RV sites available to reserve. Indulge your kids…or the kid in you…and take a train ride through the mountains of Southern Kentucky. The Big South Fork Scenic Railway descends 600 feet into the Big South Fork Gorge, passing through the Daniel Boone National Forest and Big South Fork National River & Recreation Area before stopping at the historic Blue Heron Mining Camp. Wander through the National Park Service outdoor interpretive site and see the abandoned structures like the bathhouse, company store, and the historic train depot. 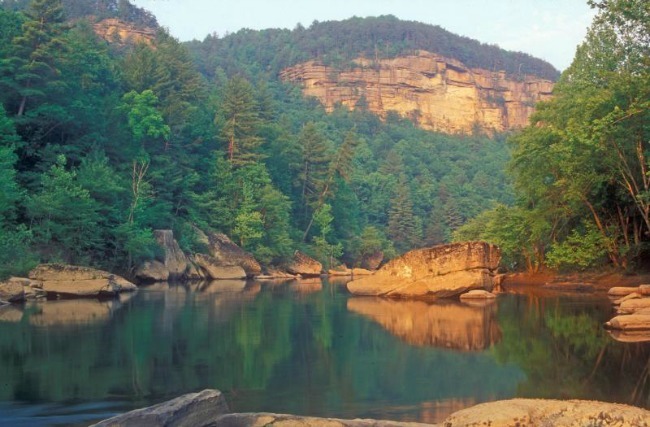 The Blue Heron Campground in the Big South Fork National River & Recreation Area, close to the Blue Heron Mining Community where the train stops. Campground sites all have water and electric hook-ups, picnic tables, access to restrooms and showers, and a dump station. 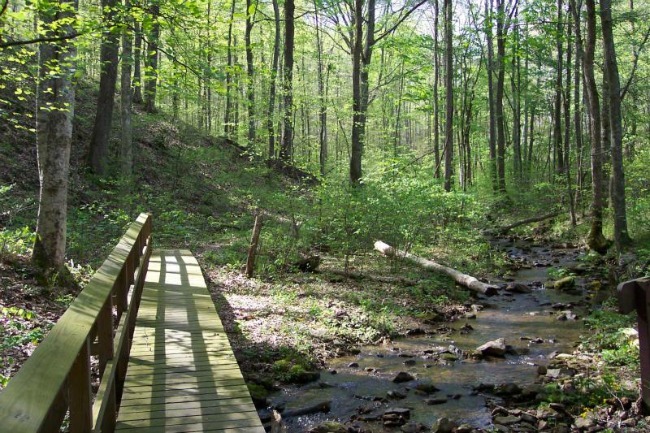 Bandy Creek Campground in Tennessee is within the river & recreation area as well. Campsites there include water and electric hook-ups and access to restrooms and showers. There are also a swimming pool, volleyball court, playground areas, and game fields for guests to use. The Land Between the Lakes is an inland peninsula where the Cumberland and Tennessee Rivers were impounded, creating Kentucky Lake and Lake Barkley. In the recreation area, the Woodlands Nature Station gives visitors a close-up view of animals native to the area. The Homeplace 1850s Working Farm and Living History Museum has interpreters in period clothing going about the daily chores of a pioneer living in the mid-1800s. Even many of the garden plants and crops come from heirloom seeds dating back before the Civil War. See men in the tool barn splitting rails for fences or turning a chair leg on the spring pole lathe — you may even be put to work helping! Also stop in the kitchen to see the woodburning stove and learn about cooking 200 years ago. Hillman Ferry, Energy Lake, Wranglers, and Piney Campground are all developed campgrounds within the recreation area and have amenities including RV hookups, restroom and shower buildings, and bike and canoe rentals. The Barren River Lake State Resort Park is, fortunately, not barren at all. 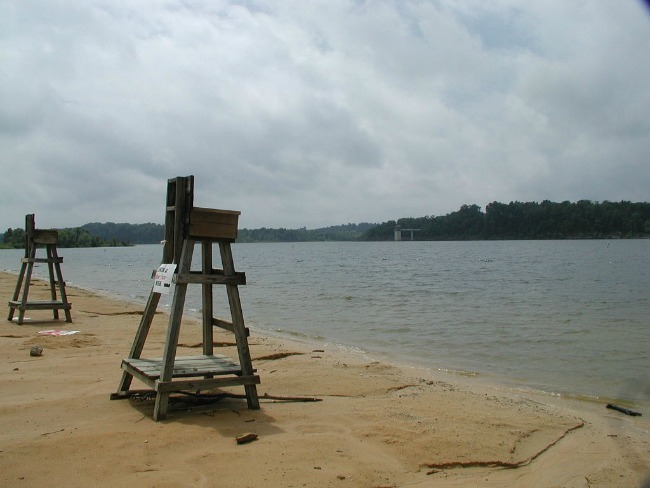 The 10,000 acre lake has plenty of water for swimming, boating, fishing, and other water sports. Along the shore, visitors can hike or bike, watch for wildlife, take nature photos, or visit the Driftwood Restaurant to fill up after a long day outdoors. The park also has a lighted basketball court, two lighted tennis courts, shuffleboard and volleyball courts. The area has many birding opportunities as well, with the best bird watching happening from fall through spring. Guests may even see bald eagles, especially from October through March when they’re regularly spotted at the park, and sandhill cranes can be seen from November through February. Barren River Lake State Resort Park has camping available on-site. Besides boating and fishing, there is an 18-hole golf course, horseback riding, a beach, and a pool for guests to use. Utility hookups are available, along with a dump station, showers, restrooms, and a boat ramp. Playgrounds are also located near the camping areas, and the nearby dining room is open for breakfast, lunch, and dinner. While Fort Knox is associated with gold — the U.S. Department of Treasury’s Kentucky Bullion Depository holds 147.3 million ounces of gold here — visitors are, sadly, not allowed to see it. However, there are plenty of other things to do in Fort Knox. Many of the activities available in Fort Knox center around the area’s military roots. 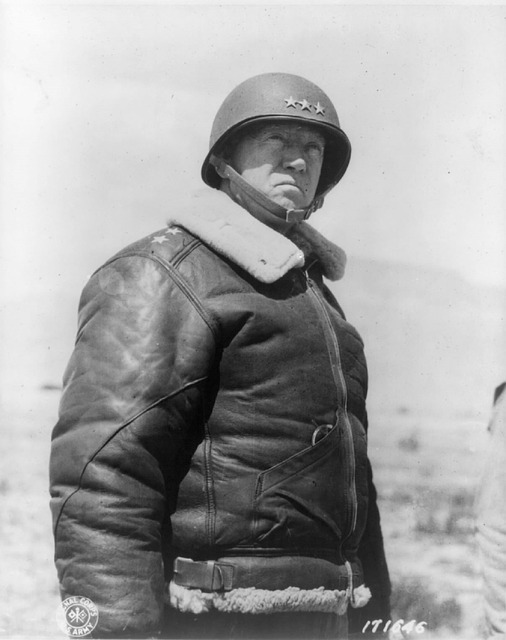 The General George Patton Museum showcases stories and artifacts from the life and leadership of General Patton. The museum has many exhibits that help visitors learn about the branches of the U.S. military, including Remembrance Walls and a collection of weapons designed by Leonardo da Vinci. Next to the General George Patton Museum, the Armor Unit Memorial Park pays tribute to the armor units that have protected the United States during the 1900s. Camping is available at the nearby Otter Creek Outdoor Recreation Area, which offers sites with electric and water hookups. Fishing, hiking, hunting, mountain biking, archery, and disc golf are all available pursuits within the recreation area. 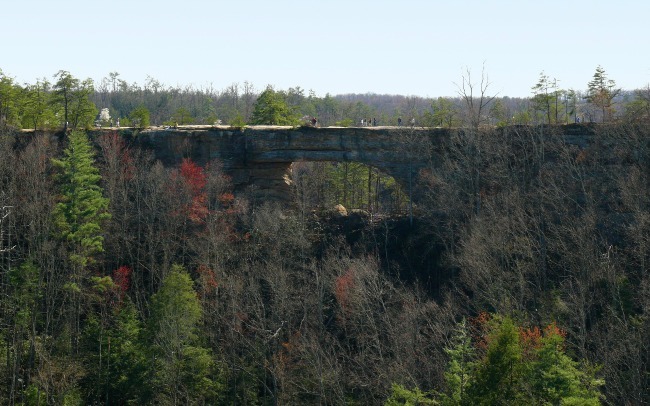 The Natural Bridge State Resort Park, named for the impressive natural sandstone arch bridge, offers many activities for visitors. Check out Balanced Rock, a block of sandstone balanced on the edge of a cliff. Hike the 20 miles of trails and visit many arches including Henson’s Cave Arch and White’s Branch Arch. Participate in one of the famous Natural Bridge hoedowns that have been happening for more than 45 years. Every Saturday night from May through October, guests can head to Hoedown Island to learn square dancing, line dancing, two-stepping, and other ways to cut a rug. The park is also an excellent spot for birding, canoeing, fishing, and swimming. A sky lift also whisks passengers up to within 600 feet of Natural Bridge for a one-of-a-kind view. RV camping is available on-site at Natural Bridge State Resort Park. The nearby Natural Bridge Campground is a small, peaceful resort a few miles from the state resort park. Sites have 30 and 50 amp and water hookups. The campground also has a catch and release fishing pond, free wifi, and a dump station. With everything from breathtaking natural wonders to tasty man-made libations, you’re sure to find something to suit your fancy in Kentucky. You can find even more Kentucky RV travel tips here, so you’ll have plenty of ideas to choose from.